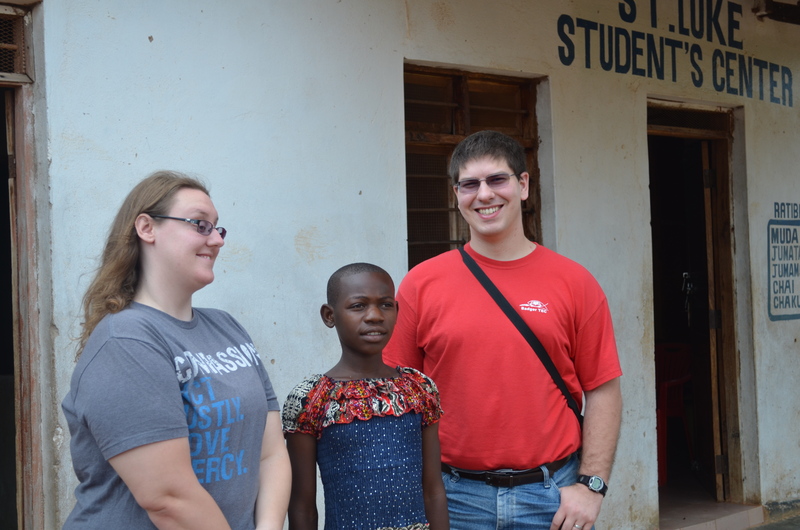 During January term this year, my husband Daniel (final-year MDiv student) and I traveled with a group of seven people from Wartburg Seminary to Tanzania. Our goal on the trip was to witness the work God is doing there, and we spent an incredible two and a half weeks visiting a wide variety of ministries of the Evangelical Lutheran Church in Tanzania (ELCT) including multiple churches, primary and secondary schools, a university and a vocational training school, a rehabilitation center for people with physical and mental disabilities, a hospital, an orphanage, and even a coffee cooperative. We also experienced the tremendous beauty of God’s creation during safari tours through two different national parks, a definite highlight of the trip! For me, the most meaningful part of the trip was getting to meet Naomi, the young girl I sponsor through Compassion International, a Christian child sponsorship organization whose mission is releasing children from poverty in Jesus’ name. After traveling almost 10 hours from where we were staying in Arusha to the capital city of Dodoma, I finally came face-to-face with this girl I’ve been sponsoring for almost seven years. While there, we had a chance to visit the Compassion center and the church Naomi attends. I learned from the site director that I was only the second sponsor to ever make it to that site for a visit, so everyone was very excited to see us. Naomi was fairly shy and a bit overwhelmed by the whole situation, and I’m sure the fact that we didn’t speak the same language didn’t help much (though we did have a translator there to assist). That being said, she became a little more comfortable and relaxed throughout the day, and she and I were able to share a beautiful moment as we sat and looked through the collections of letters and photos we had exchanged over the years. After our tour of the site, we walked to a local shop where our Compassion host helped me to purchase items like flour, rice, beans, and cooking oil to present as gifts for Naomi’s family. Then we had the opportunity to walk to Naomi’s home and meet her family. Her house is very modest, consisting only of 1-2 small rooms with clay walls and a dirt floor. There is no electricity in the house and the only furniture was a few wooden stools and a mat on the floor where the family sleeps. However, we were warmly greeted by the entire family and graciously welcomed inside. Naomi lives with her parents and 3 siblings, but we also met her grandparents and multiple aunts, uncles, and cousins whom we suspect also live in the house or nearby. After being introduced to everyone, I presented the gifts of food as well as a backpack I had brought along packed full of toys, school supplies, hygiene products, candy, etc. Daniel and I also received gifts from the family: a shawl and several clay cooking bowls for me and a ceremonial bow and arrow set for Daniel. We also exchanged words of thanks and prayed for one another, and of course, took lots of pictures. It was an incredible blessing to witness the work of Compassion first-hand, and it’s a day I’m sure I’ll remember and treasure forever! In addition to visiting Naomi and tour her Compassion site, we also happened to visit two additional Compassion sites located at ELCT churches as well as the main Compassion office in Tanzania. We witnessed again and again the work of this amazing ministry and the real difference it makes in the lives of children. We learned there are about 75,000 children in Tanzania who receive assistance from Compassion and have sponsors just like me. My family has been a supporter of Compassion for many years now, and it’s a commitment that Daniel and I knew we wanted to continue when we got married. Daniel and I have even volunteered at several Christian concerts to help find sponsors for Compassion children. However, it’s one thing to hear the talks, watch the promotional videos, and hold the child packets, and another thing to actually get to see those faces in person, to hug the girl that you send letters and money to each month, and to meet the incredible people who make sure that money actually helps to make a real difference in the lives of those children. 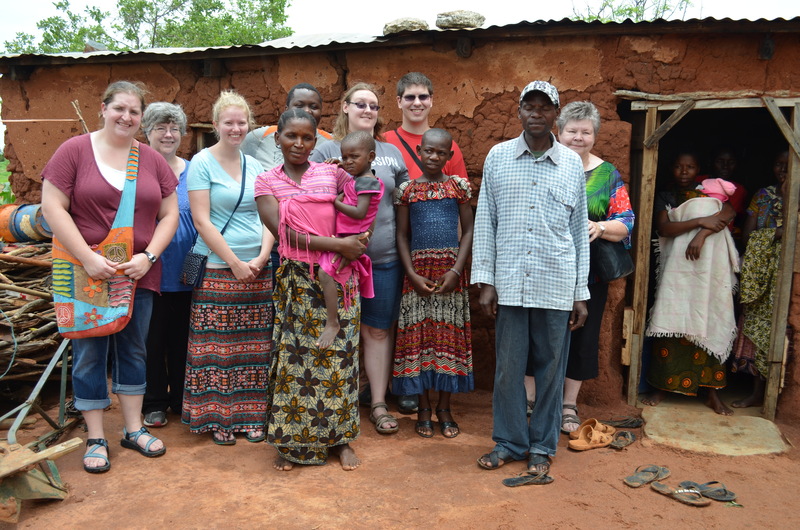 Through all of these experiences we witnessed the amazing work God is doing through the Lutheran church in Tanzania. We experienced generous hospitality from so many wonderful people who are passionate about proclaiming the love and salvation of Jesus through worship, education, and service. We learned about the challenges of ministering in a nation where the average person lives on about $200 a year. We were reminded of the many things we take for granted here in the U.S such as reliable electricity, paved roads, access to affordable education and quality healthcare, and clean drinking water. But most of all, I was reminded of the simple yet profound truth that God is God no matter where you go. God’s church in Tanzania is not all that different from God’s church in the U.S., and while we may look different, dress or eat differently, or face different challenges in life, God is still God, and God is still good! I walked the Via Dolorosa in Jerusalem for the first time during January Term, 2016. At each station of the Via Dolorosa, we sang and read scripture while the world went on around us. I tried to imagine Jesus roughly pushed out into the street, amidst yelling vendors and children playing loud games. Did everything become silent when Jesus stumbled? Or did the world’s noise just continue? We entered several small chapels along the way. At the seventh station I sat down in the chapel with a sigh, and reached for my water bottle. No scourging, no cross, no crown of thorns, no crowd screaming for my murder, no betrayal or heartbreak, but I was still tired. And thirsty. Lord, have mercy. We marked the last five Stations in the courtyard behind the Church of the Holy Sepulcher. It was around noon, appropriately. Three people in non-Western robes, with covered hair and dark skin, were there when we arrived. As the bell struck 12, one of the men walked around a domed structure in the courtyard three times. He and I bowed our heads to each other in greeting. We entered the church through the Ethiopian worship space, passing by two women reading and praying. I thought of Anna, “continually in the temple praising God.” I’d never considered that people today come and sit in the church all day, just to be there. The sites in the Church of the Holy Sepulcher were profound, overwhelming, wonderful. After I recovered from the amazement of seeing the tomb, I enjoyed watching others stream into the holy place. I needed to see myself surrounded by the communion of saints, and needed to see them all drawn to the same place I was. I thank God for the random, blessed intersection of people at the Church of the Holy Sepulcher, and the vendors we walked past, and the construction worker who looked at us as we sang at the First Station, and the two young Jewish boys gleefully laughing, expertly weaving in and out of our group on their way home. Wartburg’s campus has been enriched by the presence of international students for decades. Second year Michaelo Abasori, who is from Ethiopia, shares his passion about God’s work in the world and his own call to ministry. Michaelo’s gifts and passion for ministry were recognized by others at an early age. At fourteen he began to take on leadership roles in his church, which was Lutheran. He lead choir, Bible studies, prayer, ministered to people, heard their stories, and worked on building community, bringing people together from different backgrounds, cultures, and languages. As a child, his foundation of faith was built through attending church, Sunday school, confirmation, and hearing the pastors’ teachings. “I started to have faith in God, learning about people around me, [and] how to love people. That’s the foundation,” recalls Michaelo. Did he always know one hundred per cent that he was called to being a pastor? He answers, “When I was young I had mixed feelings. I knew that I lived to serve the community [and] the church, but [at] the same time, I didn’t know that it was the right thing for me, so I struggled with that feeling. That’s how it starts. People liked what I did in the church, how I prayed with them, how I led worship or Bible study, and they said this is your gift, you’re going to make a good pastor, but I didn’t like it! I think everybody has that kind of feeling, right?” Michaelo laughs. “Through time, through my struggle, I came to know that [this] is what God’s calling me to do, because I’ve seen that the ministry that we do in the church and in the community has great impact in the community and world [and it] is changing lives. So I decided there’s nothing better than this to do in my life. I committed myself to the call.” Michaelo was around 20 years old. From Ethiopia to the US and beyond, Michaelo sees God at work and finds much hope in that. “God is not only working in this century; God is working from the beginning in every culture, in every society, all over the world. The hunger [and] the hope the church has right now—it’s great. There is hope for the church. God is working through them, through us, you know,” he nods. 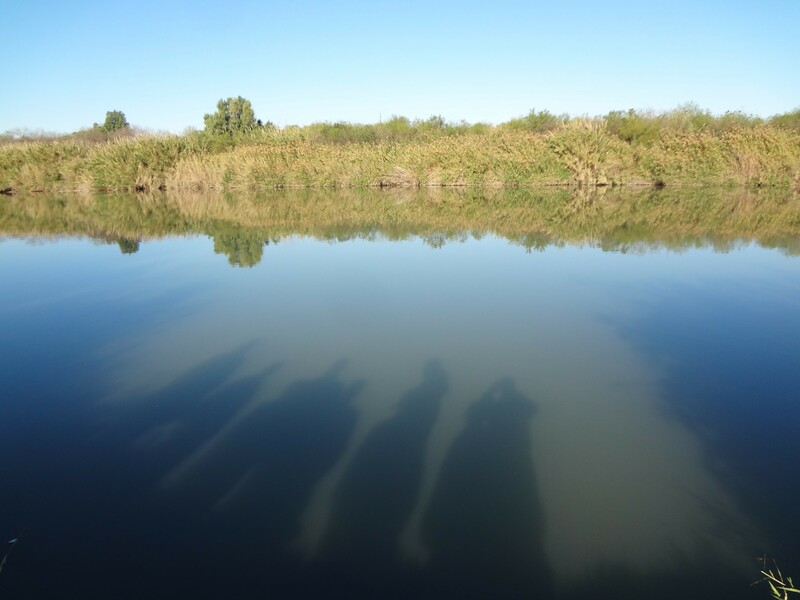 As representatives of the ELCA journey to South Sudan to break ground for a Lutheran Center in Juba, they join representatives who are already witnessing to hope of peace and reconciliation in a war-torn area. Of those working in South Sudan is Bishop Samuel Peni, bishop of the Nzara Diocese in the Episcopalian Church of South Sudan (ECS). As a part of his travel to the U.S, Bishop Peni joined Wartburg students and faculty on Nov. 2 during a luncheon sponsored by the Center for Global Theologies to share his perspective on the intersection of the ECS and the current situation of South Sudan. A 2009 graduate of Wartburg Theological Seminary, he noted that his study here helped enhance his ability to live out his call in the ECS. While at Wartburg, he knew full well that he would be returning to a country ravaged by violence. But what he did not know, however, is that the level and character of the violence in South Sudan would change in the time that he was studying in the U.S.
As Bishop Peni spoke of continued dissension and conflict in his home country, he continually returned to themes of power, religion and tribal differences. Though Sudan has a long history of violence resulting from various power struggles, the region has most recently been negatively affected by two civil wars. Following a brief period of peace after the first civil war, the second civil war began after President of the Republic of Sudan, Gaafar Nimeiry, declared Sudan an Islamic state in 1983. The civil war continued until 2005 when the Comprehensive Peace Agreement was signed in Nairobi. Though this document was signed, Bishop Peni attested to the continued violence even after 2005. By July 2011, South Sudan declared its independence from the Republic of Sudan. However, since South Sudan gained its independence, conflict surrounding the availability of oil resources and tribal differences has continued. During the civil war, the Sudan’s People’s Liberation Army/Movement committed violence against many villages in an attempt to disarm rebellions. As a result, inter-ethnic fighting has intensified. Bishop Peni spoke to this reality, noting that people often look at each other first in light of their tribal association. In an attempt to help foster an environment of peace and reconciliation among tribes, Bishop Peni helped organize leaders of different church bodies to work together against the effects of continued violence and discrimination in their country. He took this group of leaders to Rwanda where they learned about the effects of the Rwandan genocide and how Rwanda has healed from its past and embraced new beginnings. From there, these leaders engaged in conversation and training, helping them embrace a future of peace and reconciliation in South Sudan. Now, Bishop Peni notes that he, along with other church leaders, are integral in the effort to unite tribes and influence government on the county and state levels. Bishop Peni explained that while the church’s connection with legislative bodies has changed over time, that he and other church leaders have been invited to offer prayer at government meetings. In doing this, Peni stated that this gives him – and other church leaders – an opportunity to state their voice in the midst of discussion. As the church continues its work in South Sudan, Bishop Peni stressed the need for theological education of church leaders, asking numerous times for students, pastors and professors to come to South Sudan to teach. He spoke very highly of his education at both Wartburg Theological Seminary and of his short time at the University of Dubuque Theology Seminary and stated that the future of the ECS is intrinsically related to its continued education. Additionally, he stressed the ECS’s continued role in systems of government to advocate for peace and reconciliation. Finally, Peni noted that the ECS has a good working relationship with the Catholic Church, helping to foster more relationships in pursuit of peace. With a connection of both education and work for justice, Peni witnessed to a hope for a new day in South Sudan. As Bishop Peni continues his work, he noted that he must often consider his and his family’s safety. He noted that often needs to sleep in different homes throughout the journey of a trip in South Sudan to protect himself. He spoke of how his bodyguards protect him so that he can continue to do his work, and he shared that his family is temporarily living in Uganda based on the volatile situation in South Sudan. But even in light of this, Peni spoke with hope concerning his work and the work of the ECS. He openly asked for prayer and for people to learn the story of the Sudanese, imploring us to embrace a vision of peace and reconciliation for all peoples as a part of God’s good creation. As people united in Christ, we join Bishop Peni’s quest for peace and give voice to the continued story of struggle in South Sudan. Imagine not having the financial means to feed your own children. Imagine feeling you have no other choice than to work long days in a sweatshop or to turn to prostitution to gain enough income to provide at all for them. Imagine feeding your child pies made out of clay because that is all you have. For most of us in the United States, this is not our reality, but for women in many other countries this is a daily struggle. Not only are they not able to feed and provide for their children, but they are living in gang and drug-infested neighborhoods. They are caught up in a cycle of poverty that one must live in to completely comprehend. In March, 2015, while on her husband’s pastoral internship, Wendy Daiker, a Wartburg Theological Seminary spouse, felt a call to help women. Initially, Wendy felt these women were local to the Iowa town where she was living, but she soon learned that God was calling her to a much broader community. This was affirmed when Wendy’s husband, Joe, connected her to a friend who was a Compassionate Entrepreneur for Trades of Hope. Wendy quickly realized that God was calling her to help women through Trades of Hope on a global scale. It was then that Wendy became a Compassionate Entrepreneur for Trades of Hope. Trades of Hope was started in 2010 and was created to empower women worldwide and to create jobs for them. According to the Trades of Hope Fall 2015 catalog, “We want every mother to be able to break the cycle of poverty-for herself and her children. 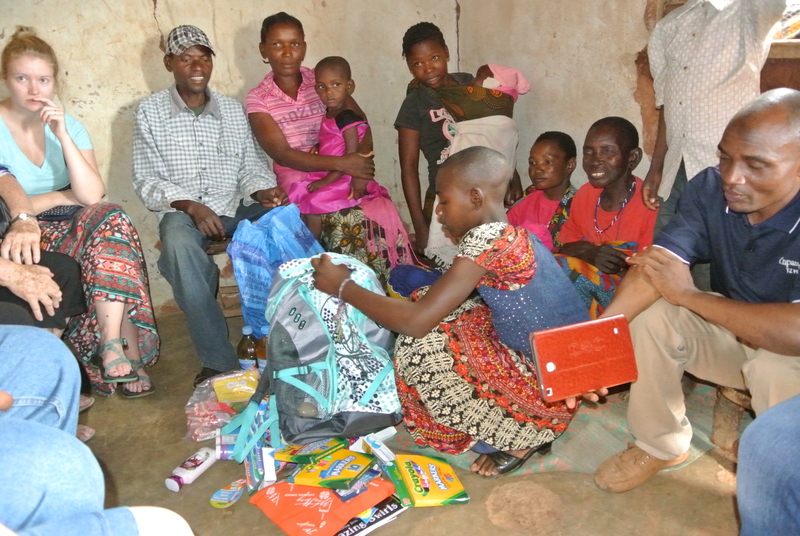 Parents who are working can provide basic necessities, support, and protection for families.” Trades of Hope does this by marketing the handmade products of artisans through a home party model. Compassionate Entrepreneurs (CEs) bring the products (jewelry, handbags, home décor, etc.) into homes and share both the products and the stories of the artisans who have made the products. Products are sold and the artisans are given a fair wage for their work, a wage that helps them support themselves and their families. Currently, Trades of Hope represents 28 groups of artisans (over 6500 artisans!) in 16 countries.